So you’re smokin’ down the interstate and suddenly you see a Trooper’s car in the median. What is your automatic response? Apply the breaks to slow down, Right? Even if you’re doing the speed limit, it’s an automatic response. Why? Because you know the Trooper in the car has the authority to give you a ticket. There is a healthy sense of fear attached to violating the law. But in today’s prevalent preaching of grace without the balancing principle of responsibility, there is almost no such reaction when we sin. I believe we have lost the sense of Jesus’ lordship in place of not grace, but licentiousness. So in many cases in American Christianity the State Trooper is treated with more respect than the Creator of the universe. 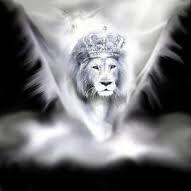 We need to regain the reality of the “Kingship” of Jesus and rightfully have Him rule and reign over our lives. Those who do not may be in for a very unpleasant surprise (Mat 7.21-23).